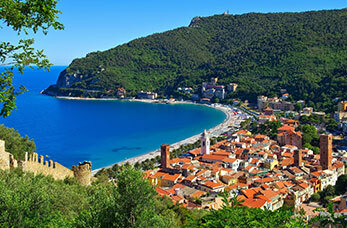 A Western Mediterranean cruise provides you with countless opportunities. 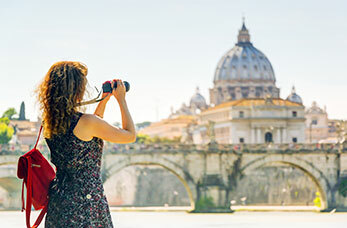 Whether you want to embrace the culture of Rome or enjoy the busy streets of Barcelona, there is truly something for everyone. As a matter of fact, you’ll go from one amazing experience to another when you visit the beautiful Western Mediterranean. We want to make sure you make the most of your time there, so in this blog we’ll cover seven destinations for seven days, outlining the activities and locations you should visit to make the most of your break. 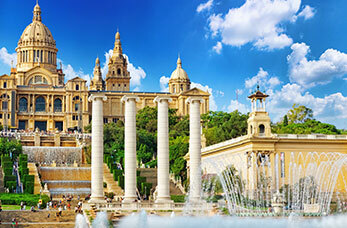 Barcelona is a hub of activity situated in the Catalonia region of Spain. Millions of people visit on a yearly basis, often making it tough to find some of the best locations in this beautiful part of the world. Here are some of the must see things to do on your first day. It’s safe to say that Barcelona is a music hub within Spain. One of the most prestigious concert venues is the Gran Teatre del Liceu, a building that’s decorated with a gold finish, red carpets and intricate carving. You’ll be surprised at how affordable concert tickets can be. Tapas is a type of Spanish cuisine which consists of a number of shared, small dishes. This type of eating focuses on taste and socialising, as dinners aren’t focused on eating an entire meal. You can expect patatas bravas, mango with ham, mini brochette of pork and so much more. What would a trip to the Mediterranean be without visiting a beach? Thankfully Barcelona has well over four kilometres to enjoy, so make sure you bring a towel and some flip flops. Locations such as Sant Sebastia, Nova Icaria and Mar Bella are great to enjoy during the day, but they also have exciting nightlife. 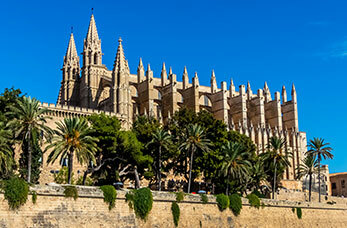 Palma De Mallorca is the capital city of the Balearic Islands in Spain. You’re separated from the rest of Spain on this luxurious island where you’ll forget your troubles and endure true relaxation. Dominating the landscape from a distance, Castillo de Bellver is a gothic castle that was built in the 14th century. For a long time it was used as a military prison, but now it’s one of the main tourist attractions to visit on the island. It first became a museum in 1932, although certain parts were restored in 1976 as they opened the History Museum. A must see location at Palma De Mallorca is Banys Arabs, otherwise known as Arab Baths. They date back to the 10th century, and are all that remains of the ancient city of Medina Mayurqa. Historians believe it used to be a nobleman’s house, as it’s similar to other baths in Islamic cities. It’s amazing to see how it’s shaped like a half orange with exactly 25 shafts for sunlight. There’s a small fee for entry and unfortunately you can no longer soak in the baths, but it’s amazing to see how people lived back then. As Palma De Mallorca is situated on an island there’s a wealth of fish options to indulge in. A popular restaurant is The Room, which only serves fish that has been freshly caught that day. Possibly one of the most unique locations is Cerveceria Anfos. This restaurant seems more like a fish market, as you pick what you want and they cook it in front of you, making it more ‘teppanyaki’ styled. 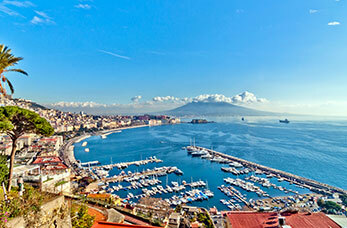 Next it’s on to Naples, the capital of the Italian region of Campania. It’s here you can see some of the most artistic and ancient locations on the trip, as well as some of the tastiest foods that you can find on this continent. Definitely a thing to do for history lovers, visiting the archaeological sites of both Pompeii and Vesuvius is an eye opening experience. You can take a tour and if you’re a keen hiker, you may want to brave a route that takes you along the side of the most dangerous volcano in the world. Lungomare is a seafront walking pathway that goes from Santa Lucia all the way to Mergellina. An age old tradition is to attach a padlock to one of the poles which has the initials or names of couples. This area is perfect for a honeymoon location. 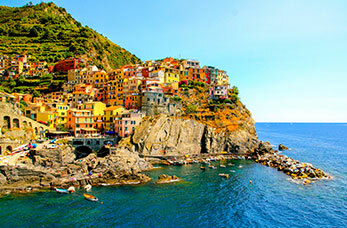 A beautiful destination that is often overlooked is La Spezia. It houses the largest Italian naval base, and the marina is surrounded by cosy trattorias. The most popular time to visit this destination is around the 19th of March, due to the traditional Feast Day which involves interesting foods and traditional music. Coffee is often associated with Italy, but it’s La Spezia that boasts the largest selection of cafes in the region to choose from. You could stay for a week and visit a different cafe each night. Popular establishments are the Jolly Roger Bar, Caffe Cavour and Zanzibar Cafe. For those that have a passion for art, a must visit location is Museo Amedeo, a fine arts museum that’s located in a restored 17th century friary. There are paintings that date from the 13th to 18th century. It’s a delight to view ancient manuscripts that date back to Roman times. An ancient city that has buildings that date back to the 16th century is Savona. A popular activity in this location is whale watching; the water in this location is so clear you can really get a good look at all of the amazing and colourful the sea hides. An ancient fortress built in 1542 is Fortezza Del Priamar, the creation of architect Giovanni Maria Olgiati. Historians have found traces of pre-roman, Roman and even Byzantine items at the site, which you can see at the local Savona Archaeological Museum. Over the years the fortress has undergone many changes and was even used in the War of Austrian Succession. The restaurant Vino e Farinata is situated in the very centre of Savona. To get in you have to walk past two different experienced chefs: one shovels fish into a wood fire and the other mixes batter within a whisking machine the size of a barrel. You can expect specialised seafood like you’ve never tasted before. As the song goes, Rome wasn’t built in a day, although you can do your best to see what’s on offer during this time period. There’s simply so much history and culture to absorb that you’ll never want to leave. One of the greatest place to visit to understand Rome’s extensive history is the Colosseum. You’re able to see where brave gladiators would fight in front of a blood-thirsty crowd. It’s possible to see all the way down into where the actual gladiators would wait before going into battle. With beautifully crafted fountains, intriguing street artists and numerous cafes Piazza Navona has everything in one. It used to be the home to numerous ancient markets, and now it’s one of the most visited tourist destinations in this area of the world. 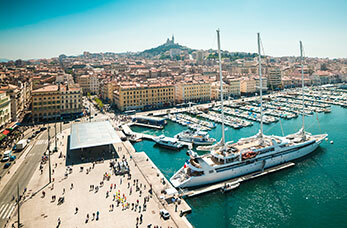 Marseille is a rich and vibrant port city that has an extensive history that dates back to 600 BC. It’s now France’s second largest city and a popular destination for tourists. There is no other address in France that showcases extravagant cultural diversity than Cours Julien. This is an elongated square complete with a fountain surrounded by exotic palm trees. Throughout the week there’s different market which have a number of different items for sale, one day it may be flowers, the next fresh fish. For those that like to live on the wild side, La Baie des Singes is a great location to visit. You can try your hand at jet skiing, wind boarding and so much more. After you’re done you can relax on a deck chair whilst you enjoy freshly cooked fish. The oldest museum within Marseille is Musee des Beaux Art. There are numerous paintings and sculptures that date all the way back to the 17th century through to the 21st. The beautifully designed fountain was built back in the 1860s and is a delight to relax against. As you can see, in just seven days there is a number of locations you can enjoy. Although they are all unique in their own right, being able to visit them whilst staying on a cruise ship allows you to have an amazing time, whilst travelling in luxury, without having to worry about a car or hotel! What do you think of this blog? Will you be going to Western Mediterranean? Let us know in the comment section below or on Twitter: @Cruisenation.